Offering a car body repairs bodyshop specialising in car repairs including accident repairs, crash repairs, alloy wheel refurbishment, paint repairs, car spraying, motorcycle fairing repairs, custom spraying and paintwork, alloy wheel repairs and refurb. We are within easy reach of Bishops Stortford, Harlow, Epping, Loughton, Ongar, Takeley, Stansted, Sawbridgeworth, North weald, Chelmsford. 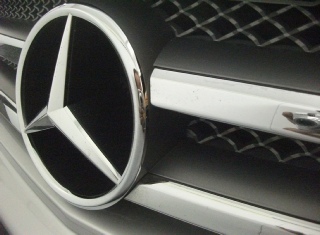 So if you need a car body repairs bodyshop business and garage specialising in car body repairs including accident repairs, crash repairs, alloy wheel refurbishment, paint repairs, car spraying, motorcycle fairing repairs, custom spraying and paintwork, SMART Repairs, bumper scuffs, alloy wheel repairs and refurb. We are within easy reach of Bishops Stortford, Harlow, Epping, Loughton, Ongar, Takeley, Stansted, Sawbridgeworth, North weald, Chelmsford then give us a call today. Being based only 10 minutes from Bishops Stortford, M11 and A414 we are also located within close proximity to the following areas in Hertfordshire and Essex. Sawbridgeworth, Harlow, Chelmsford, Cheshunt, Dunmow, Takeley and so on. Our closest train stations are Sawbridgeworth (Hertfordshire), Harlow Mill (Essex) and Bishops Stortford (Hertfordshire). If you need transport to one of these train stations when you have dropped your car with us please ask us beforehand to see if we can help. For more information contact Stortford Body Repairs near Bishops Stortford and Harlow today!! If honesty, quality and reliability are important to you then look no further than Stortford Body Repairs near Bishops Stortford and Harlow on the Hertfordshire and Essex borders. Our ‘can do’ attitude has gained us the highest of respect from previous customers. Using original parts, unless instructed and carrying out works to high standards we should be your first choice when selecting an accident repair garage near Bishops Stortford and Harlow. Remember that you dont choose to have an accident but can choose your repairer, regardless of what insurance companies may lead you to believe. 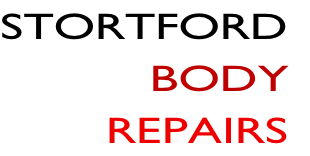 Give Stortford Body Repairs a call today.